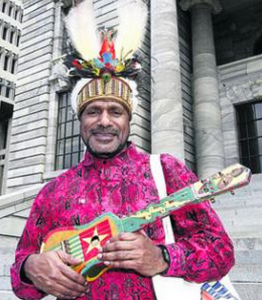 Benny Wenda is a West Papuan Independence Leader who founded the Free West Papua Campaign in 2004. 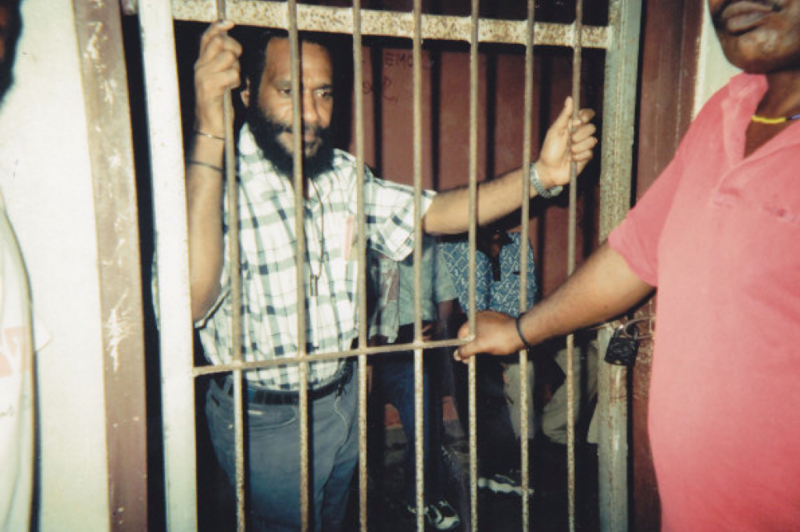 He is now the Chairman of the United Liberation Movement for West Papua (ULMWP) and works tirelessly to free his people from Indonesian occupation. 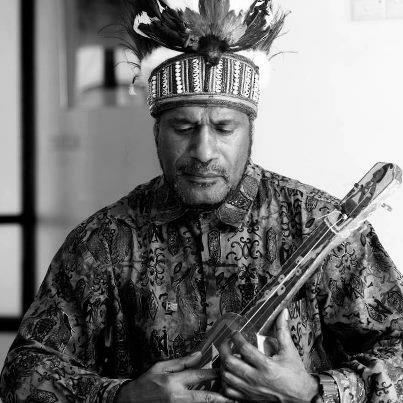 Below follows a short biography of Benny Wenda. To find out more about his inspiring life and struggle, please visit his website. 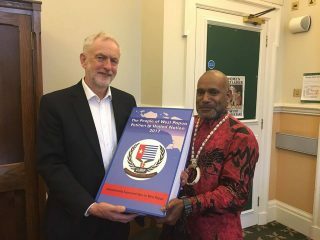 Benny Wenda presenting the West Papuan People’s Petition to UK Opposition Leader Jeremy Corbyn, a founding member of the International Parliamentarians for West Papua (IPWP). 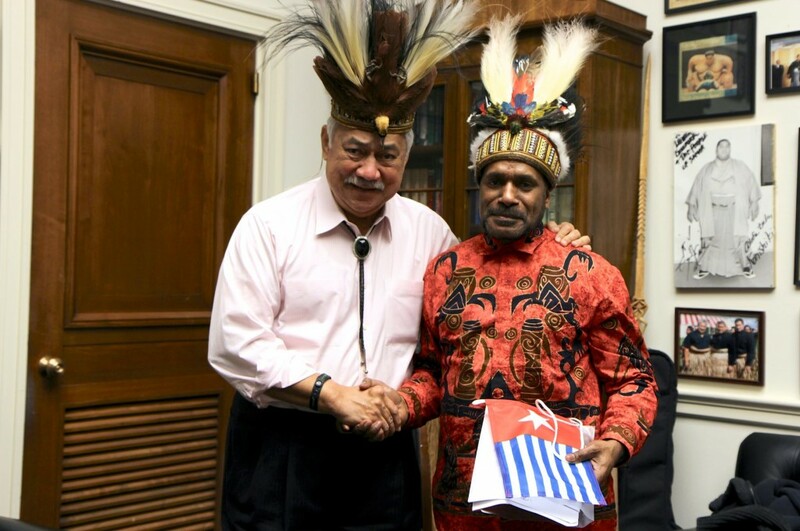 Benny pictured meeting US Congressman for American Samoa, Eni Faleomavaega in Washington D.C.
For him, there is only one way to stop the killing, and ensure that Papuans enjoy the same freedoms that people elsewhere in the world already enjoy: West Papua must be independent. And to that end he continues his campaign. 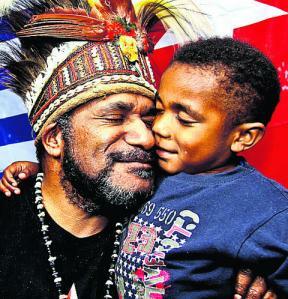 Benny Wenda has spent every day since his escape from prison, working to liberate his people in West Papua. For a comprehensive list of his past and most recent updates and statements, please click here. Below follows a short timeline of some of his most notable efforts per year since 2004. 2004 – Founded and set up the Free West Papua Campaign which now has permanent offices in the United Kingdom, The Netherlands, Papua New Guinea and Australia. 2005 – Presented the West Papuan people’s case for self-determination to the UN Working Group on Indigenous Peoples. 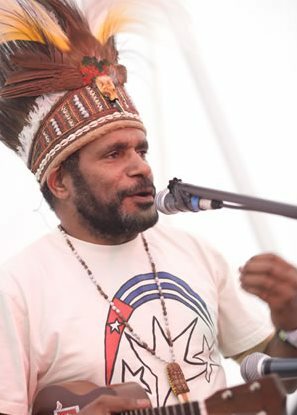 2006 – Lobbied across the United Kingdom on a grassroots and parliamentary level to support the people of West Papua and their fundamental right to self-determination. 2007 – Met with and shared West Papua’s story with David Cameron, who would later become Prime Minister of the United Kingdom. Mr. Cameron described the situation in West Papua as “terrible”. 2008 – Founded International Parliamentarians for West Papua (IPWP), a cross-party group of politicians from around the world, supporting self-determination for the people of West Papua. 2009 – Founded International Lawyers for West Papua (ILWP), a network of lawyers working to support the legal rights of the West Papuan people to self-determination under international law. 2010 – Met with the President of Senegal and shared West Papua’s story with the Senegalese people. The President encouraged all Africa nations to take up and support the issue of West Papua. 2011 – Hosted an historic conference of legal and academic professionals in Oxford, United Kingdom on West Papua’s fundamental right to self-determination under international law. This was done in collaboration with International Lawyers for West Papua (ILWP). 2012 – Launched International Parliamentarians for West Papua (IPWP) in Guyana, a nation which has been a firm advocate for West Papuan self-determination. 2013 – Embarked on a “Freedom Tour”, following the landmark removal of his Interpol “Red Notice”. 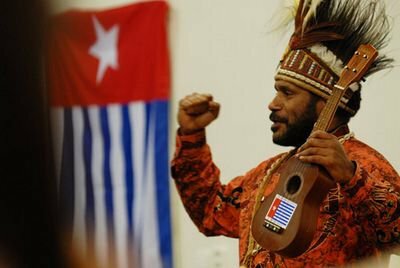 Benny Wenda visited 5 countries around the world to raise global awareness and international solidarity for West Papua’s freedom. He was later nominated for the Nobel Peace Prize, for his efforts in helping to put an end to the conflict in West Papua through a peaceful act of self-determination. 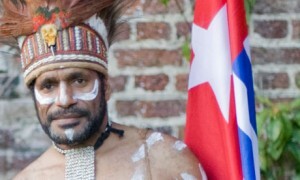 2014 – Was elected as Spokesperson for the United Liberation Movement for West Papua (ULMWP), an umbrella body of all the main West Papuan independence groups which have united the struggle to represent the West Papuan people. 2015 – Helped to secure the ULMWP’s key Observer Membership of the sub-regional Melanesian Spearhead Group (MSG). 2016 – Hosted the historic Westminster meeting of for an Internationally Supervised Vote in West Papua, attended by other West Papuan leaders, International Parliamentarians as well as academic and legal experts. 2017 – Presented a groundbreaking petition to the United Nations containing the signatures of over 1.8 million West Papuan people, comprising over 70% of the indigenous population. This petition provides firm evidence to the United Nations and governments all around the world of the will of the West Papuan people. He was also elected as the Chairman of ULMWP.